The "Pi in the Sky" math challenge gives students a chance to take part in recent discoveries and upcoming celestial events, all while using math and pi just like NASA scientists and engineers. 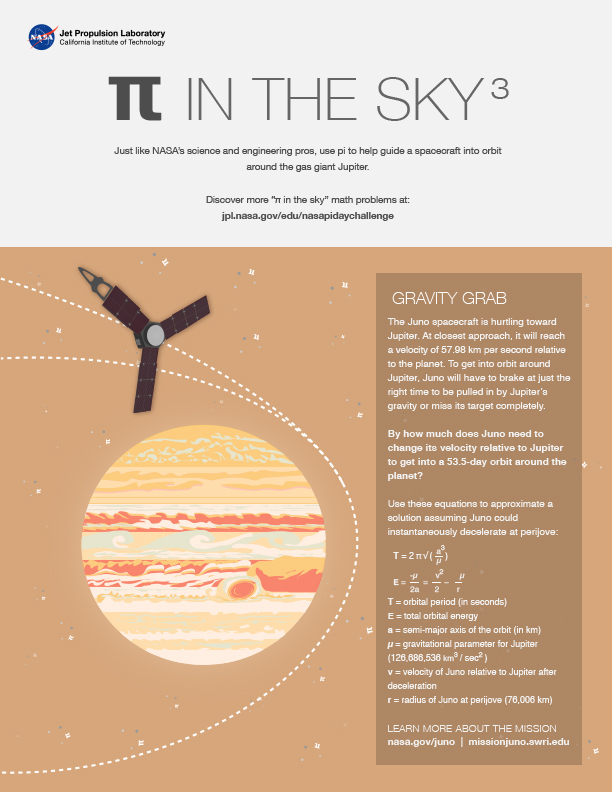 In this problem from the set, students use the mathematical constant pi to calculate by how much a spacecraft needs to slow down to get into orbit around Jupiter. After a five year journey from Earth, the Juno spacecraft arrived at Jupiter on July 4, 2016. Its main goal is to help scientists understand the origin and evolution of the largest planet in our solar system. By learning about Jupiter's formation, scientists will better understand how the solar system formed. Determine how much water is in Jupiter's atmosphere to help us understand how the planet formed. Look deep into Jupiter's atmosphere to measure composition, temperature, cloud motions and other properties. Map Jupiter's magnetic and gravity fields, revealing the planet's deep structure. Explore and study Jupiter's magnetosphere near the planet's poles, especially the auroras (Jupiter's northern and southern lights), to provide new insights about how the planet's enormous magnetic force field affects its atmosphere. The Juno spacecraft is hurtling toward Jupiter. 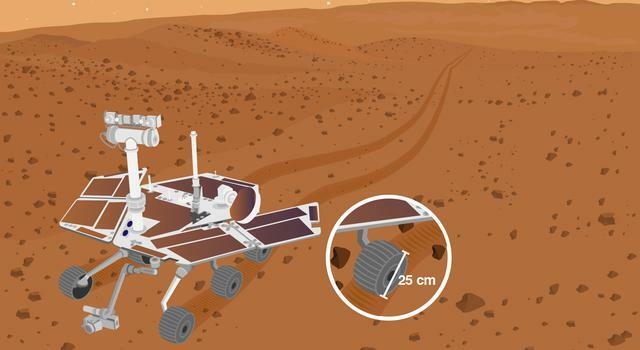 At closest approach, it will reach a velocity of 57.98 km per second relative to the planet. To get into orbit around Jupiter, Juno will have to brake at just the right time to be pulled in by Jupiter’s gravity or miss its target completely. By how much does Juno need to change its velocity relative to Jupiter to get into a 53.5-day orbit around the planet?